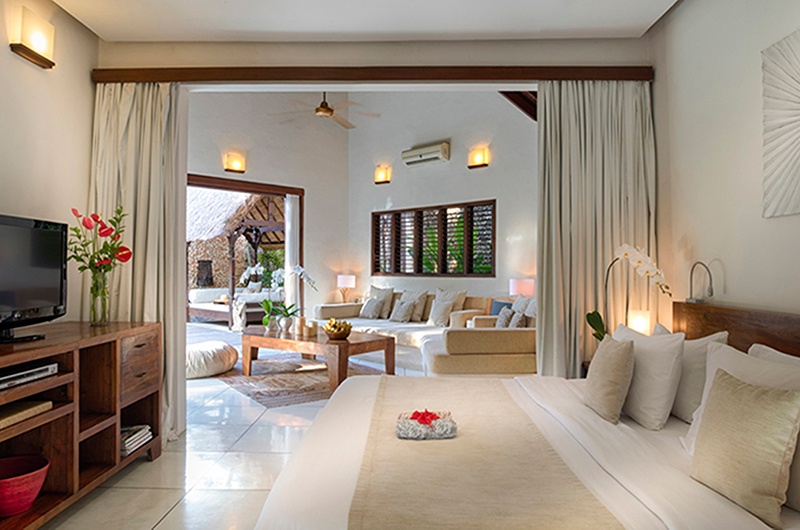 The perfect hideaway for couples offering a romantic take on Balinese living in Seminyak. 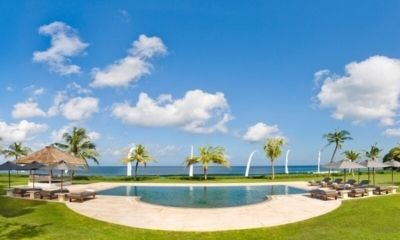 Villa Kubu 11 is a spacious, elegant 1-bedroom villa (sleeps 2) close to the tourist spots of Seminyak. As you enter the property you will immediately notice the gorgeous pond and the clear blue waters of the private pool. Start each day with a dip in the shimmering waters of the pool. Then just laze around enjoying the visual harmony of the landscaped tropical gardens. Villa Kubu 11 ‘s contemporary Balinese style architecture and tasteful interior decor will welcome you home after a day out shopping, at the beach or cycling. Have drinks with friends and listen to some music in the spacious open living area, before having a delicious meal in the formal dining area. Of course, if you prefer to be more casual, and you are on holidays after all, head out to the bale in the garden. Imagine yourself relaxing there in the evening with a glass of something cold. When it’s time to retire your spacious sleeping quarters await. With an indoor/outdoor en-suite bathroom, this is tropical living at its best. Relax in the Jacuzzi tub by a private water feature in the walled garden, enjoying the night air and the sounds of nature.